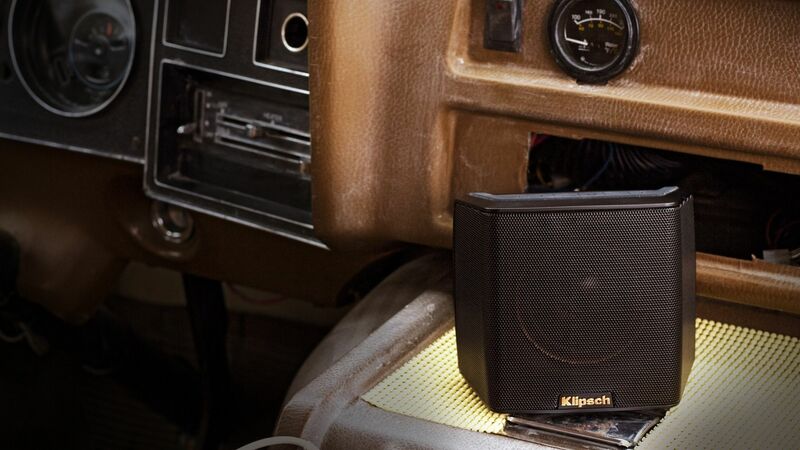 With an 8 hour battery life + Easy USB charging the Klipsch Groove Bluetooth® speaker is designed to bring big sound wherever the road takes you. Room filling sound that fits in the palm of your hand has never been more fun or long lasting. 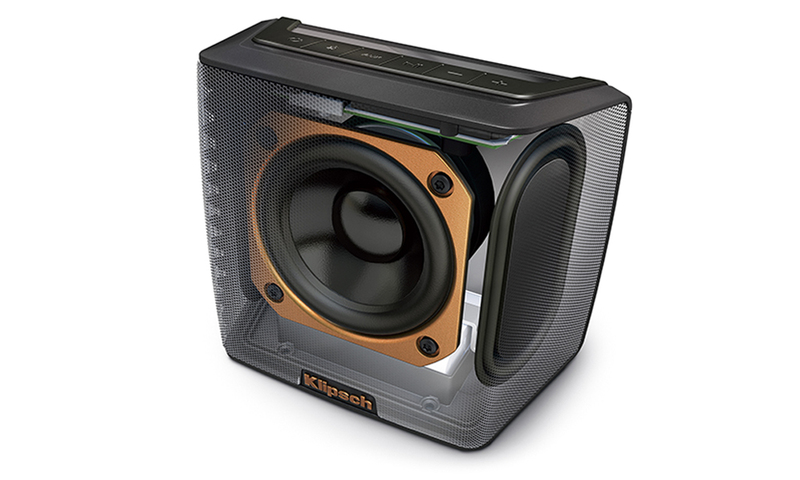 Now you can enjoy the legendary sound of Klipsch speakers wherever your travels take you. Throw it in your bag, pack it in your suitcase or just hold it in the palm of your hand. 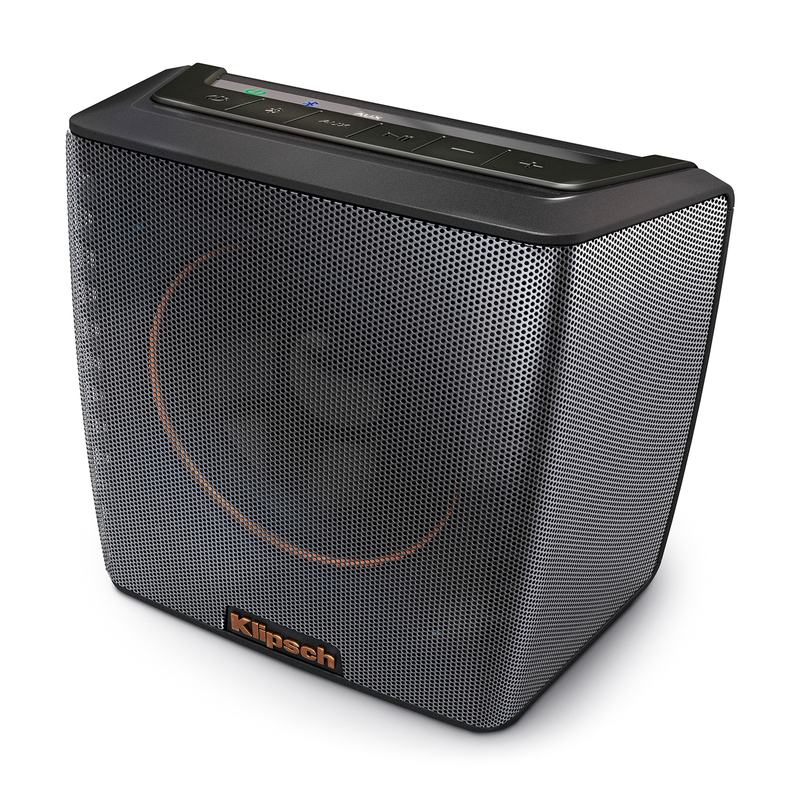 The Klipsch Groove portable Bluetooth speakers boast all the features you want in a travel speaker without any of the nonsense. 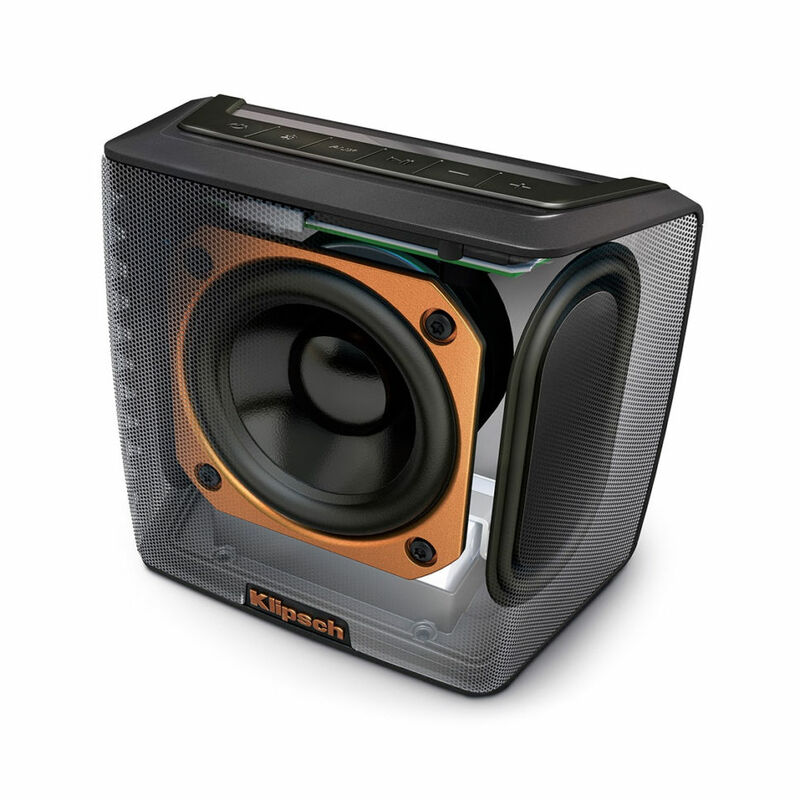 This speaker delivers shockingly big sound in a small package with all the detail. No BS. 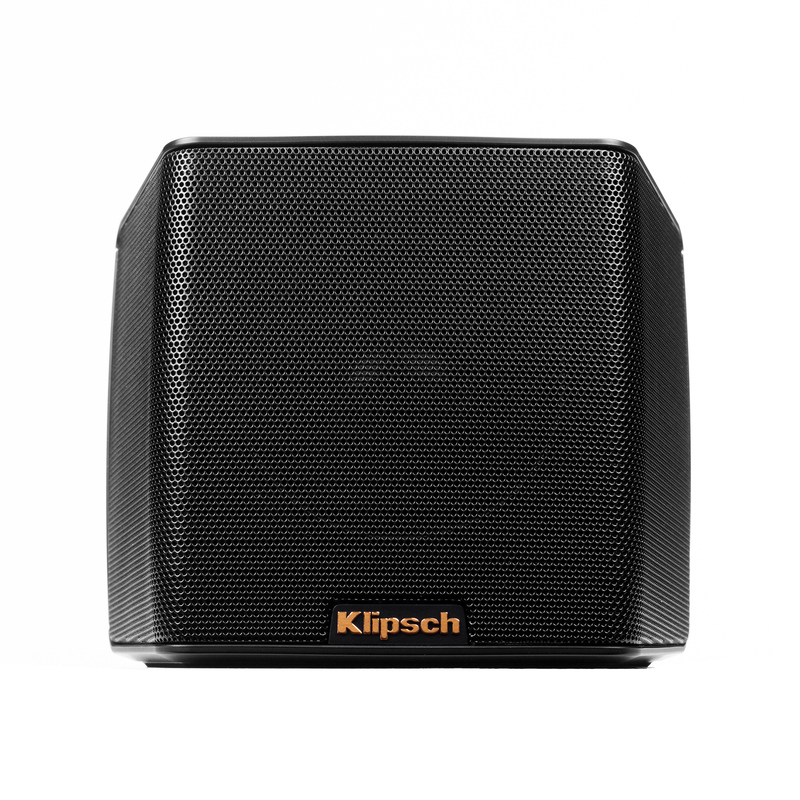 With an insanely powerful 3” full range high excursion driver complemented by two side-firing passive bass radiators, and advanced DSP equalization, the Klipsch Groove portable Bluetooth speakers provide lifelike, dynamic sound at any volume level. 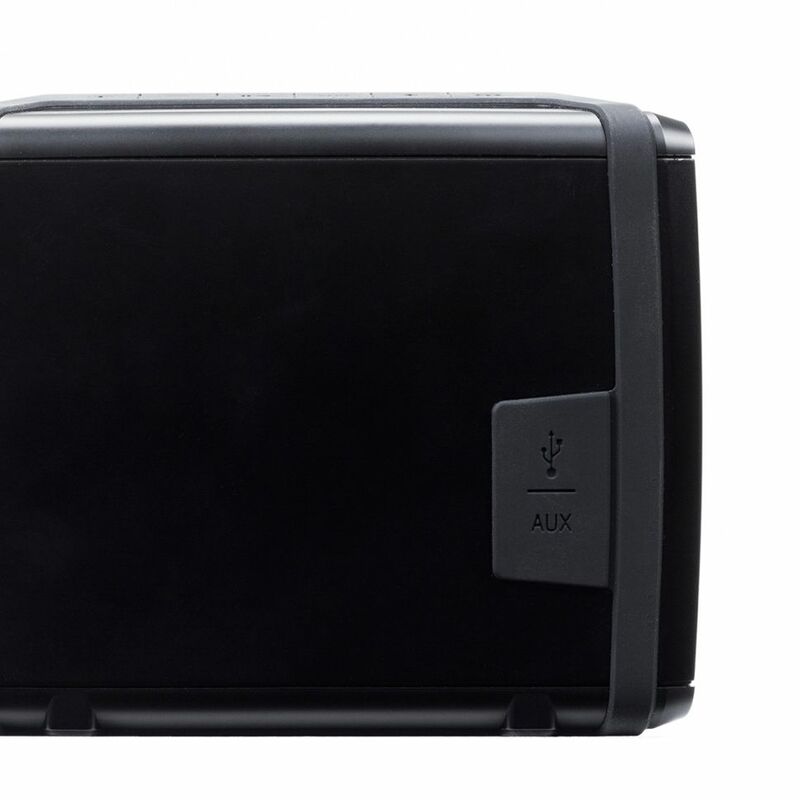 This isn't anything like the portable speakers you have heard before. Seriously. Keep the party going all night with the Groove's rechargeable battery lasting up to 8 hours on a single charge. 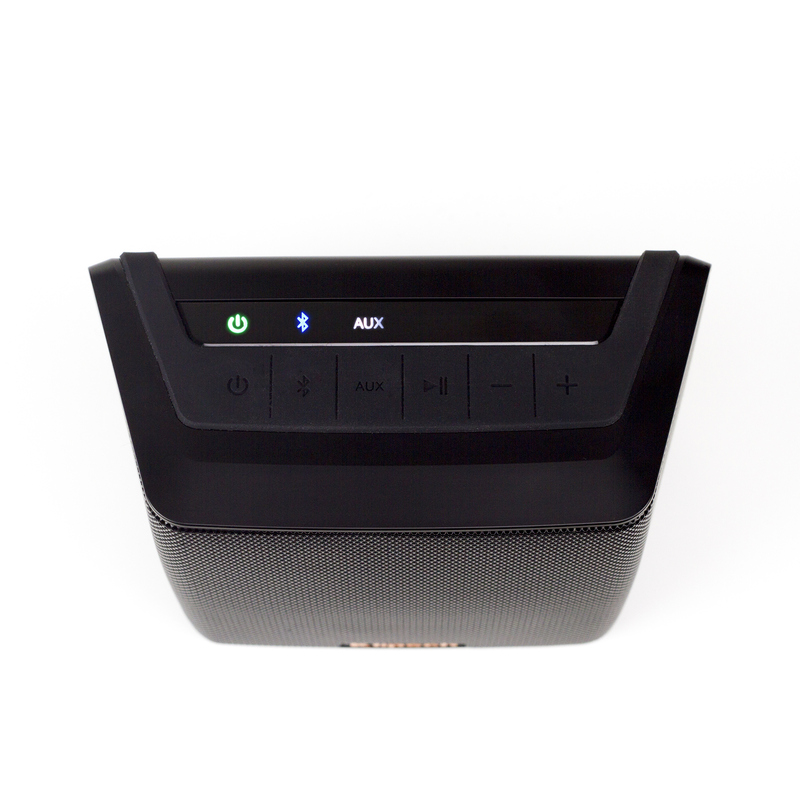 Additionally, it features a durable, splash-resistant IPX4 rating to handle any adventure and ready to handle the rigors of the road. Tailor the mood with simple, top-mounted controls or directly from your Bluetooth® enabled phone, music player or computer. 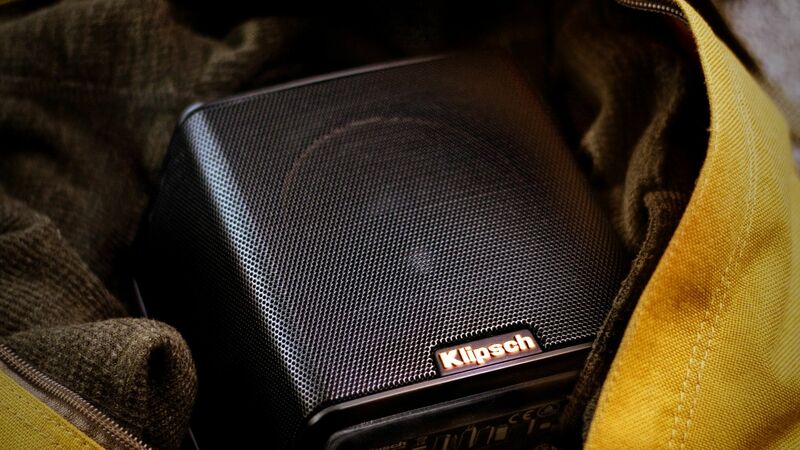 Reenergize the Klipsch Groove portable Bluetooth speaker at home or on the road with any micro USB cable, or pack along the included charging adapter. 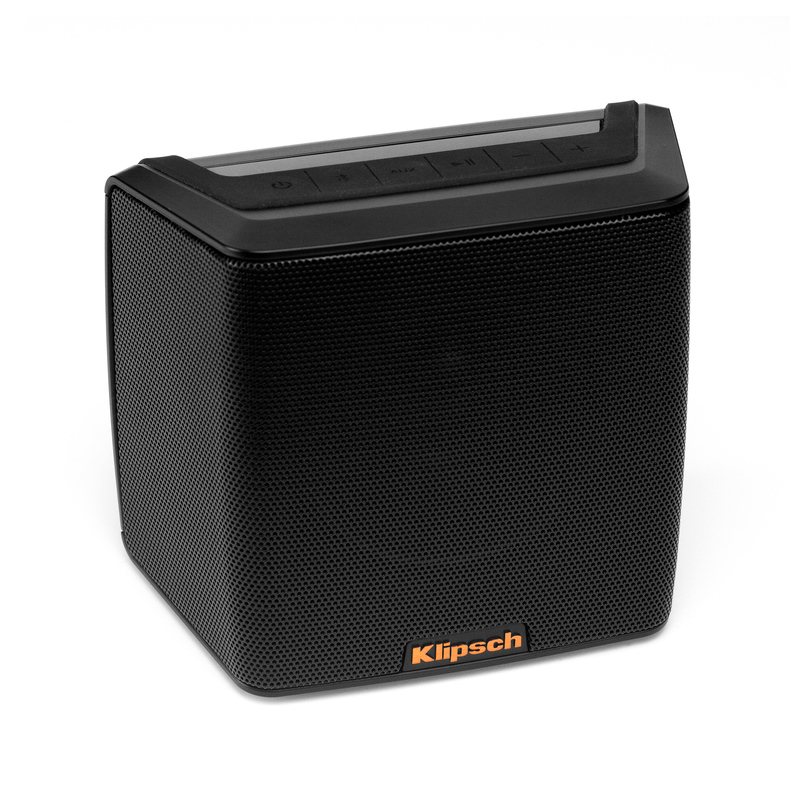 The Klipsch Groove portable Bluetooth speaker was proudly designed and engineered with pride at our worldwide headquarters in Indianapolis. 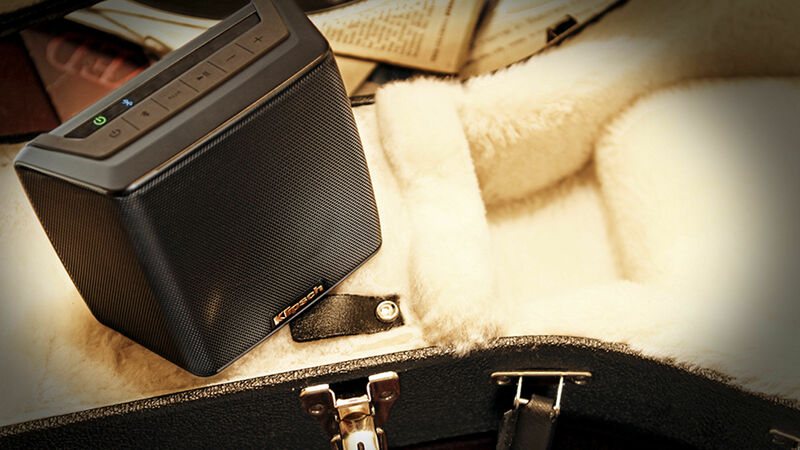 The same team who engineered the flagship Palladium Series designed the acoustics for this portable speaker. Seriously. 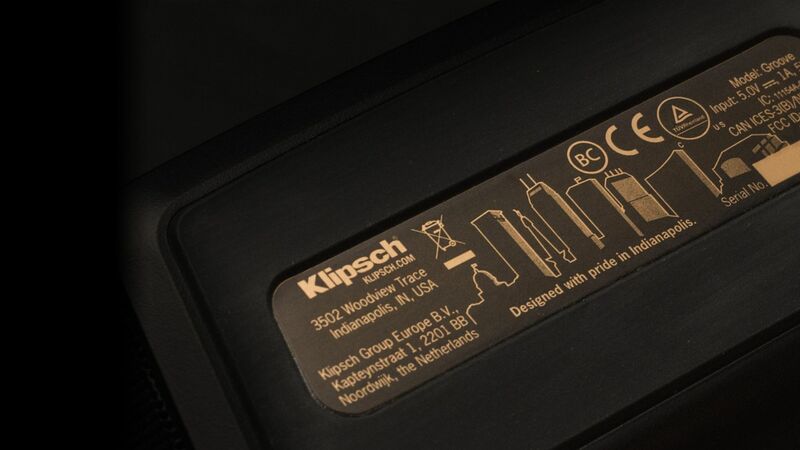 We stamped the Indianapolis skyline and "Designed with pride in Indianapolis" on the bottom of every Klipsch Groove speaker.